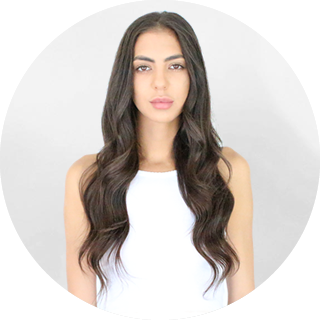 Find out why everyone is LOVING their Pure Hair Extensions ! Looking for the best Hair Extensions in Australia? After a simple solution for longer, more luscious hair? Pure Hair Extensions is just what you need to achieve the look you have always dreamed of. Available online, we offer next day delivery to all major cities including Sydney, Melbourne, Perth, Adelaide and Brisbane. Our Premium Human Hair Clip In Extensions will excel your hair possibilities and help you achieve that high fashion hair style in minutes. Made from 100% Remy Human Hair and heat resistant up to 200 Degrees Celsius, you can cut, colour and style the extensions to your desired look. Your extensions will look and feel just like your own hair without causing any damage to your natural hair. • We also offer next day delivery to all major cities across Australia. • Zip pay and After Pay available. • Achieve instant volume and length. • Made from 100% Remy human hair. • They are the best quality hair extensions in Australia. • They are easy to maintain and can last years with the correct maintenance. Clip ins are the most popular method to transform your hair in an instant. 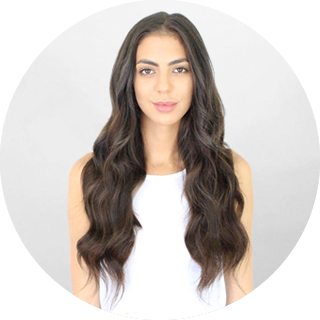 They are comfortable, discreet and easy to maintain blending seamlessly into your natural hair making wearing and styling extremely easy.We have the best quality Hair Extensions in Perth, and other major cities. We also offer the widest range of extensions you will find on the market. Pure Hair Extensions Perth offer clip ins, tape hair extensions, weave/ weft hair extensions, micro bead hair extensions, sew in hair extensions, keratin bond hair extensions, halo hair extensions and more. At Pure Hair Extensions, one of our most popular sellers is our Tape Extensions range. They are one of the quickest permanent extensions to install and can last up to 6 months with the correct maintenance and care. We also offer a colour match service which will help you choose the perfect colour to match your hair. After something less permanent? Our clip ins offer an incredible amount of versatility for those special occasions. 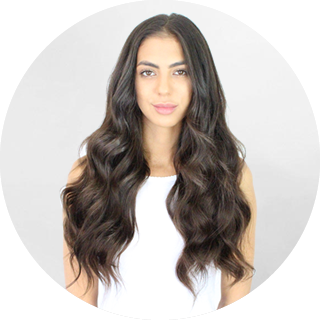 Curl, straighten or create an updo with our Perth Hair Extensions. We are passionate about offering the best quality hair extensions on the market which is why we only sell top quality Indian Remy hair. Buy now and pay later with AfterPay and ZipPay. For a free colour match send us a clear photo of your hair (In natural light Is best). We will then suggest the best shade for you. You can always send your extensions back for an exchange if the shade is incorrect.